Karen Curtin has been in post as Managing Director on a permanent basis since July 2017. 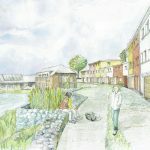 When we spoke with her predecessor, Philip Singleton, the first plots were being prepared for release and he gave an overview of the opportunities available and the vision for the scheme. 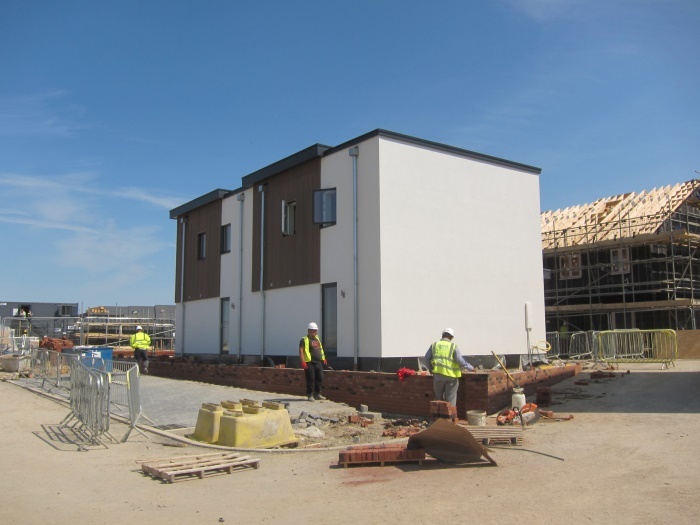 Since then the site has been taking shape with plenty of landscaping, infrastructure going in and the first homes already completed and occupied. The current masterplan is for 1741 units, with 30% being affordable housing. So far they have sold around 100 of their “Golden Brick” self build plots, 50 affordable housing plots and 30 of their custom product. While Graven Hill is a pioneering development in the UK, similar schemes exist elsewhere in the world, most noticeably Almere in the Netherlands. 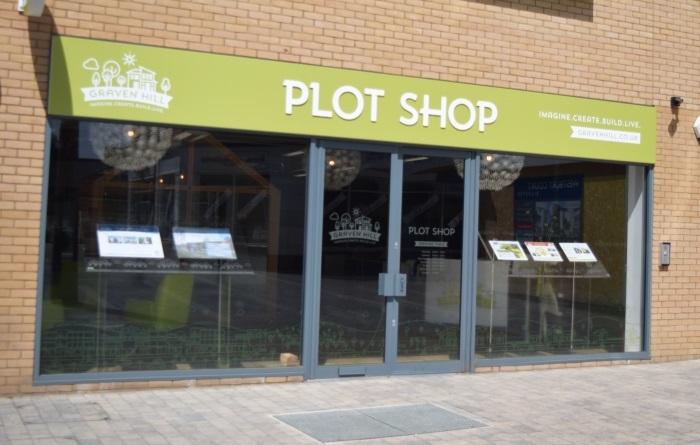 Inspiration for the Plot Shop came from there, with the idea being it could be an information hub providing details about the different products available and offering hints and tips about how to build a home. 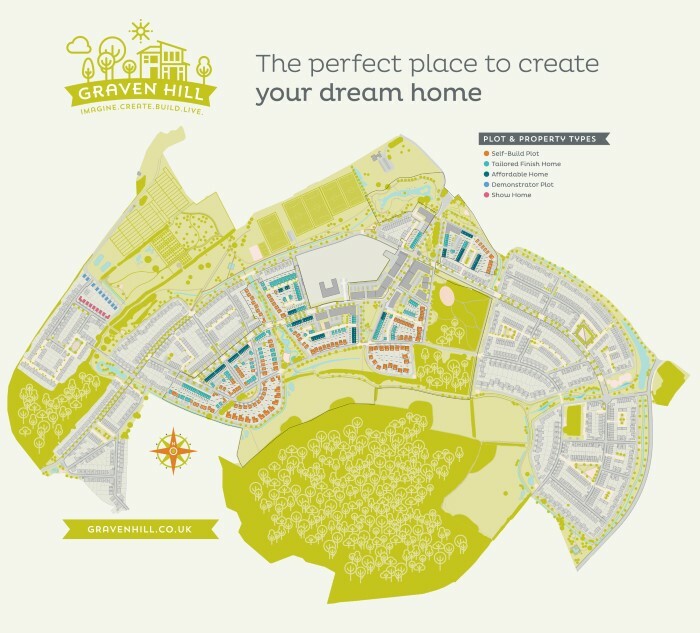 The Graven Hill Plot Shop is currently based in Bicester, a short drive away from the development. 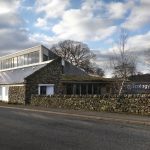 With so much building work going on there it has been important to consider the health and safety implications of members of the public visiting, but they plan to move the shop to the site once it is safe to do so. Monthly tours to the site are provided so people can get a feel of what it's about and see the areas that have plots and houses for sale. At the Plot Shop a floor map shows all of the residential plots that are for sale, colour-coded to indicate the size and whether they are allocated for Golden Brick or custom projects. The map shows the plot locations (with some locations having different design flexibilities in terms of getting planning compliance within 28 days), notional house types with the number of bedrooms possible, the size of the plot and the maximum gross internal area. The sales team are able to tell you what the foundation type is for any given plot and provide a land price, but not advise how much the Golden Brick will actually cost. Until they know what the building design will be they won't have the structural calculations to know how much it will cost to support the structure. Not knowing the Golden Brick price on reservation can be challenging for buyers, but the team are working on a product where they can offer a combined price for land, Golden Brick and superstructure. Often an expensive element of building from scratch can be connecting the utilities to the site. 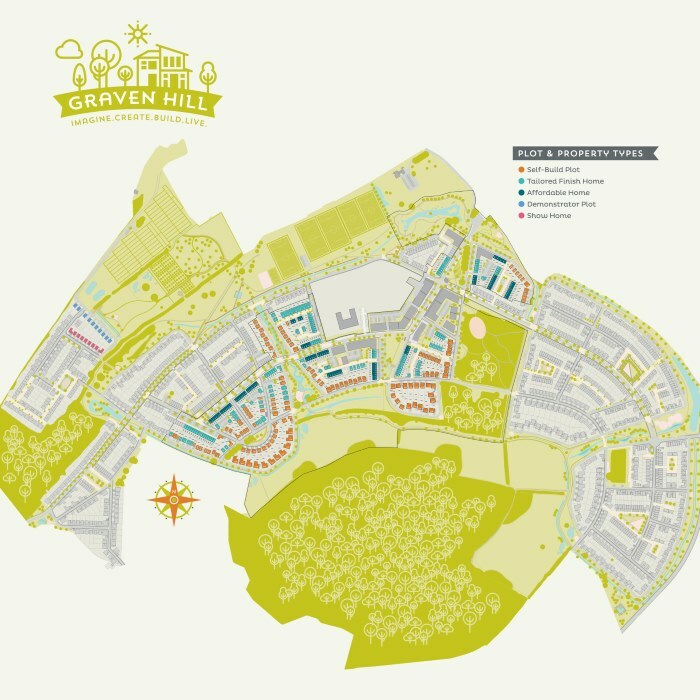 At Graven Hill the services are delivered to the edge of the boundary where they can be brought into the property as required. 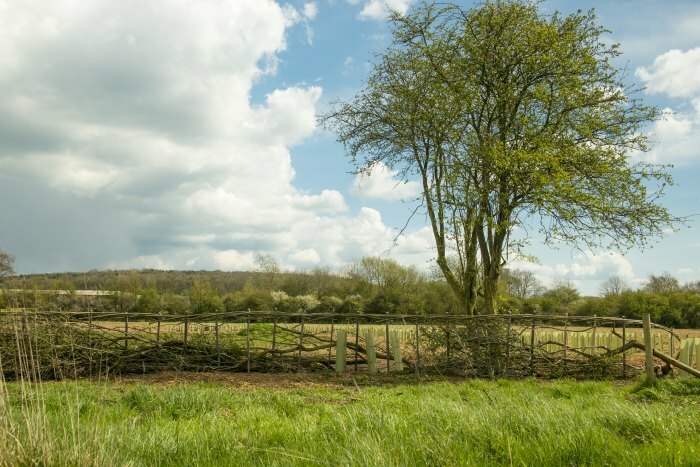 Also included in the purchase of the land is the foundation for the design, the warranty and insurances, with the added benefit of having no VAT to pay. In order to streamline the planning process, purchasers are provided with a Plot Passport which lists the freedoms and constraints of the plot design. 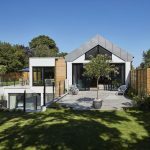 If the design is compliant, planning permission can be guaranteed within 28 days. Projects which don't fulfill the Plot Passport criteria are allocated a Delivery Liaison Manager to offer advice and navigate the process through the reserved matters route. Key to the success of the development is making a community where people want to live. 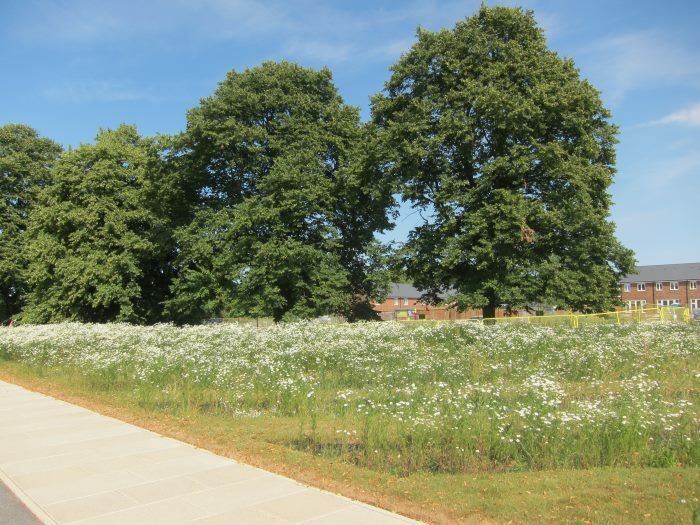 The site has areas of mature woodland which are being retained along with plenty of green open spaces. On the village green will be a pub and there will be a school opening in 2020/21. There will be a retail area which might have a supermarket, coffee shop, health provision and smaller offices, and in Phase 2 there will be a million square feet of commercial space made available. Part of the job of the sales team at the Plot Shop is to ensure that customers are fully educated about the process before making the purchase. They usually work with purchasers for around four to eight weeks getting them ready to be able to buy a Golden Brick plot. This will include making sure they are financially qualified and have engaged with suppliers to fully know what they're doing, how much it's going to cost, and the timescales in which things take place. Once a plot has been reserved a purchaser has seven months to get to the position where they can exchange, then four to eight weeks before the foundation is delivered, and a further two years to complete the build. 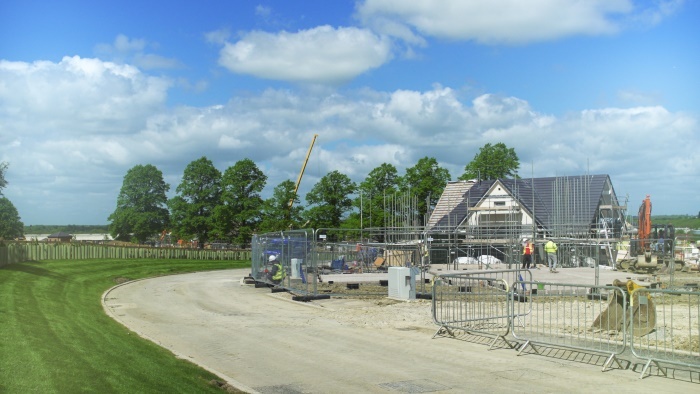 The timescales are important to ensure that people aren't continually living amongst building sites, with plots only being released in phases to ensure projects are moving along at a similar pace. When it comes to delivering Phase 2, careful consideration will be given as to what has sold well and been most popular in Phase 1. So far the plots that have sold best have been the larger plots and also the one and two bedroom plots, with the three bedroom ones being a bit slower to go. 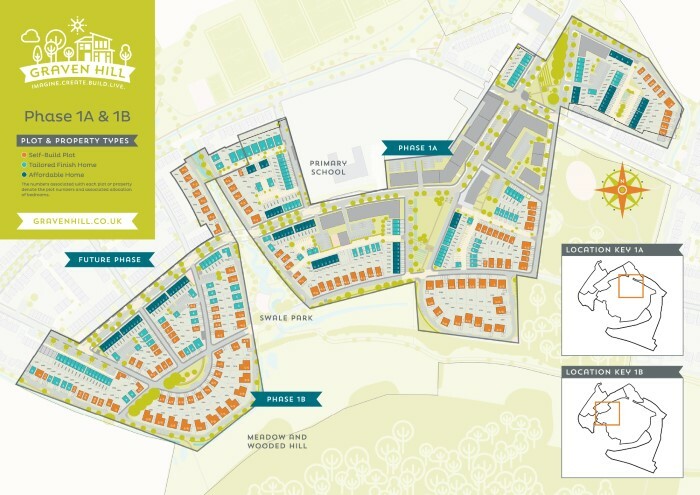 Everything learnt from the pioneers, Phase 1A and 1B, will feed into probably delivering an altered masterplan for Phase 2. 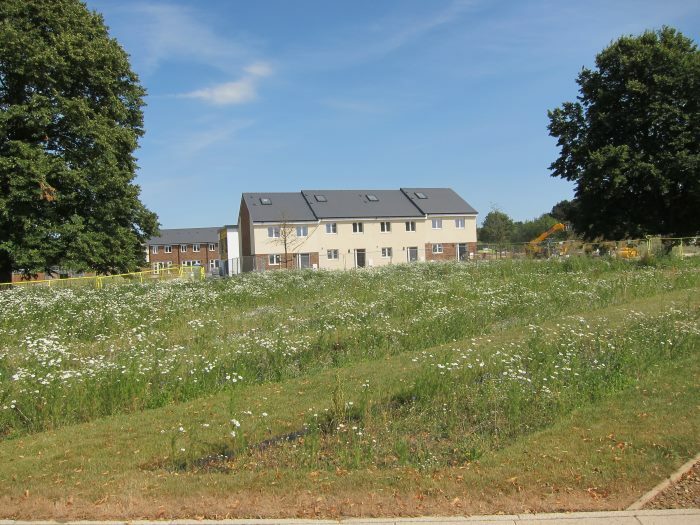 Like other developers, all of the finished products are eligible for the Help to Buy scheme. Karen says they are also lobbying the government to consider a Help to Build fund for people wanting to build their own house. 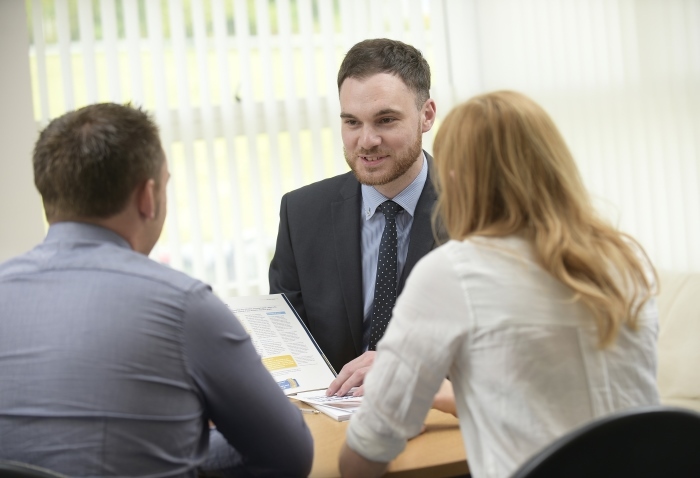 Graven Hill have been working with BuildStore to make sure there's a lender panel available there, along with independent financial consultants who can give advice. BuildStore also oversee the financial qualification process. This checks that if you're a cash buyer you have the money to go forward with the transaction, or if you need to get a mortgage then you have to have a decision in principle, to ensure you have the funds to not only buy the land and the Golden Brick, but also complete the build. On a traditional site, members of the public are kept away until the houses are ready and can be moved into. 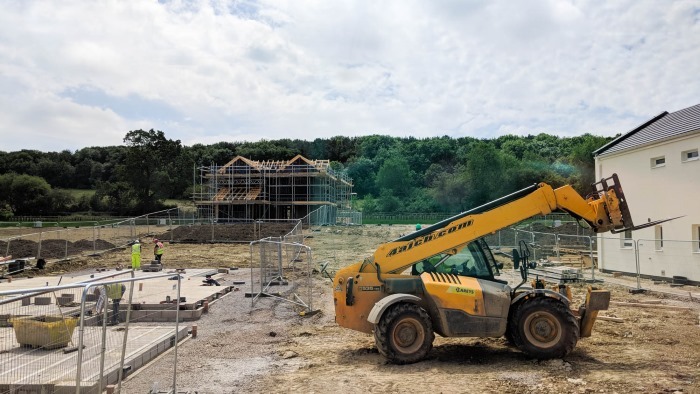 With houses here working to different schedules and owners being responsible for their own plots, there has had to be a very strong health and safety presence. More whistles and bells on the houses! Karen explains that with the saved equity from self building and cutting out the developer, rather than focussing on it being 20% cheaper, people often end up using that money to pay for premium finishes as they intend to live there longer than they might have done on a traditionally built site. 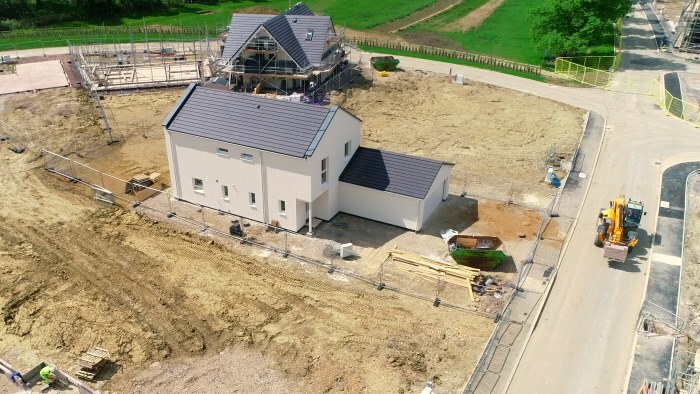 Local authorities are required to research demand and maintain a list of people wanting self build plots in their area, and make plots available. 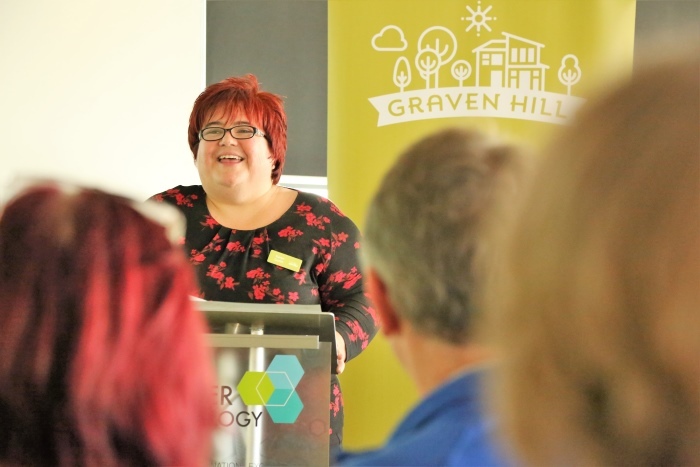 Karen encourages people to register their interest in self build with their local authority to make sure that enough land is being made available to meet demand. Download a transcript of the interview with Karen Curtin. 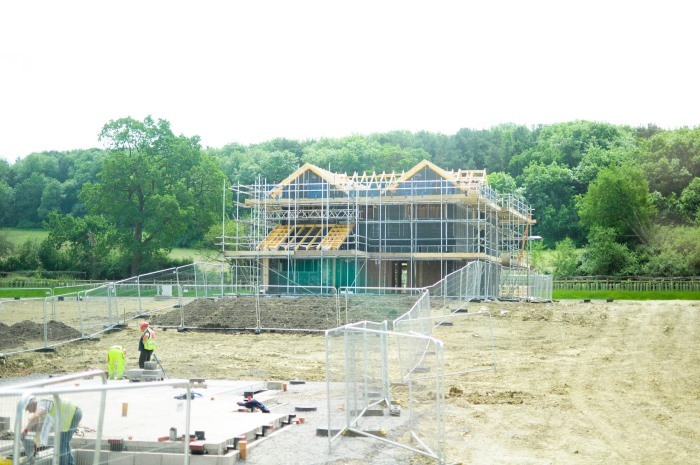 Thomas Honour, mortgage adviser at BuildStore, explains the self build mortgage process. 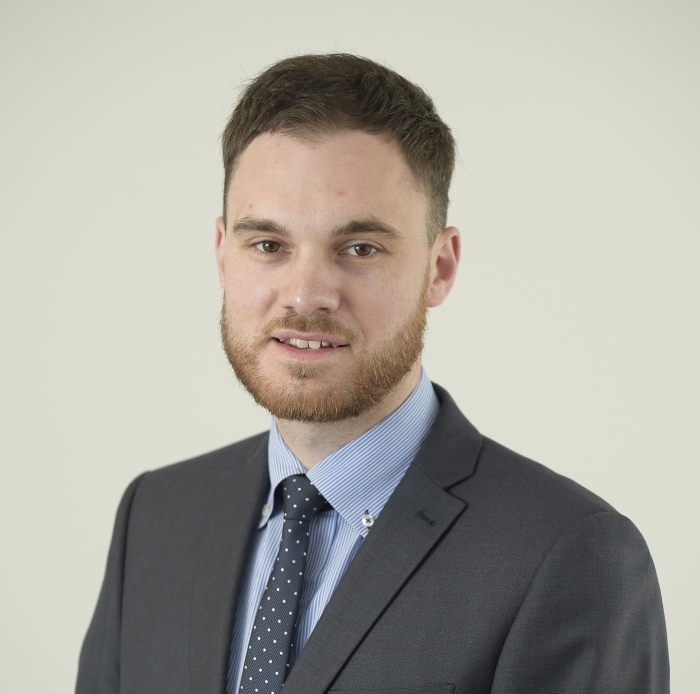 In this interview we've returned to the National Self Build and Renovation Centre (NSBRC), this time to chat with Thomas Honour who works as an adviser with BuildStore mortgage services. BuildStore specialise in finance for projects, so self builds, custom builds, renovations etc. 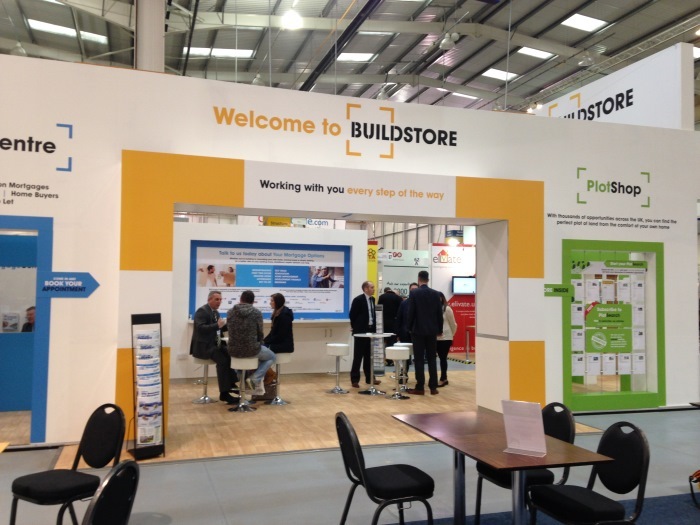 They have had a presence at the NSBRC since it opened, with a permanent base there for mortgage advisers who also contribute to the seminars on finance. This will help you to ascertain your borrowing capacity and determine whether your budget for the plot and build is is likely to be realistic. Salary is the single most important factor in determining available finance, but other considerations will include things like ongoing credit commitments, childcare costs and any other significant outgoings. Each lender is very different but typically they will apply an income multiplier of between 4 and 4.25 times the joint household income, with some treating bonus and overtime payments differently. The main difference between a self build mortgage and a conventional mortgage is the way in which the funds are released. With a conventional mortgage you receive the funds in a lump sum, which together with your deposit, you use to purchase the property. 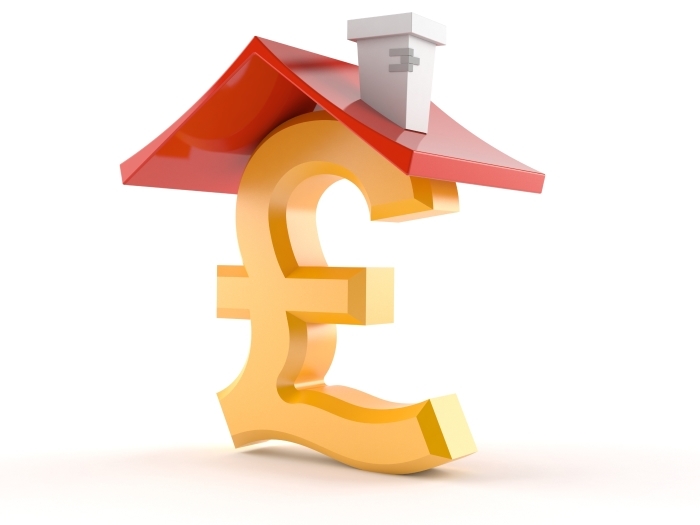 With self build mortgages the money is released typically in four or five stages, over two phases. The first phase is releasing money to purchase the plot and the second phase releases money to finance the build. The traditional self build product provides money in arrears of the stage being completed. This works well for people that have larger deposits or who own the land, as they are putting in their own money upfront with the lender giving the money in arrears on completion. 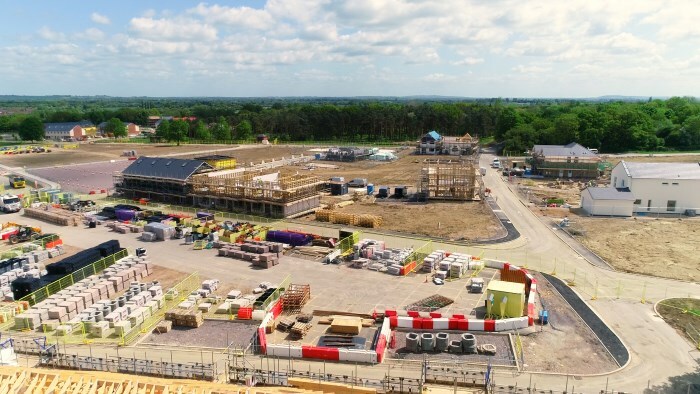 Construction types such as insulated concrete formwork (ICF), structurally insulated panels (SIPs) and timber frame however often require a much larger payment to the manufacturer early in the project. BuildStore have designed their “Accelerator” product to mitigate these cash flow difficulties by giving the money in advance of each stage. The mortgage broker and lender will work together to ensure that your build costs are reasonable and that they're going to be plausible for the type of project that you are doing. This aims to prevent the need for anyone to return mid-project requesting more funds, with no guarantee they will be provided, and will likely cause delays. On rare occasions people do return requesting additional funds. 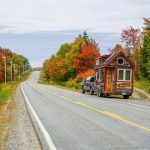 An additional loan known as a “further advance” or “additional advance” can be applied for to make sure that the build can be completed, subject to underwriting from the lender. It's important that budgets are broken down in detail. Sometimes people may not have considered contingencies and additional expenses such as architect fees, stamp duty on land, site insurance and structural warranties. A mortgage broker would rather decline an application upfront than put them in a position where they have a project they can't complete because they don't have enough money. It is worth bearing in mind that most lenders will have some sort of caveat that the build must be completed within two years. Since the mortgage market review by the regulator a couple of years ago there is a greater burden on the lender to ensure they are lending responsibly. While Thomas believes that this is right and should be the case, some of their affordability criteria does limit the amount that people can borrow which means they may need to put more down as a deposit. Valuation fee – this will value the plot based on its value at the time and what you're paying for it. They will also give an end value based on what you're planning to build and what they think it will be worth when completed. There is also a reinstatement value for site insurance purposes. Additional fees – some lenders may charge booking fees which are all quite similar but may be named differently. The job of your broker is to ensure you're aware of all the fees upfront to know what they are, what they cover, what they're costing you and when they're due. Thomas uses the example of someone with a house worth £500,000 but a pension income of £10,000, but wanting to borrow more than a typical mortgage would allow them on that income. Potentially there can be bridging finance secured against the existing home which would enable them to build their house. 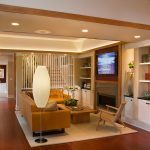 Money from the sale of their old home can then pay off the bridging facility. Non-standard constructions can be funded, however “non-standard” means different things to different lenders, so your mortgage broker will find a lender that is suitable for your project. Even timber frame, steel frame, SIPs and ICF constructions are considered non-standard by some lenders. The reason why some lenders won't lend on less traditional buildings is largely down to re-saleability. The lender is always thinking about if they had to take possession of the property how easy it would be to sell. For properties that might be an acquired taste they will be worried they may not get their money back. Typically the minimum deposit required will be around 10% of the overall project costs. The project cost is the combined land and build costs. For someone that already owns the land outright, the value of the plot can be used as the deposit contribution, i.e. 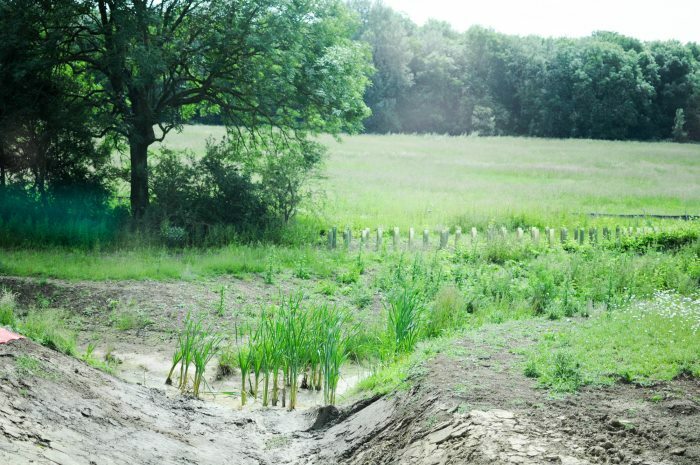 owning a plot with a value of £50,000 will provide £50,000 towards the deposit. A larger deposit will give more favourable interest rates and may make more lenders available to you. Download a transcript of the interview with Thomas Honour. We'd like to tell you a little bit about The Hub – what it is and why we're doing it. Support: A self build project can be a long journey so the community side of The Hub is a place to learn from others and be inspired by them. Information: We're already providing lots of information with our podcasts and videos on YouTube, but this is going a step further by trying to refine and organise it, making a step by step and easy to understand guide of what's involved in a self build. Videos: There's huge potential for learning by video and here at Regen Media it's what we specialise in. As content creators and communicators, we can do much more, not only in The Hub, but also by adding free content and perhaps help other people to achieve more and spread their messages further. If we can save you time and money by making The Hub work, then hopefully you're paying for a resource that you're happy with and which is giving us more funds that we can use to create in other areas.